I was successfully linking up a single monthly goal and achieving it all year until September. September's goal was not finished until October and I did not even get to making an October goal in time. But I'm in time this month, so my November goal is to finish - quilted, bound, and washed - this purple/pink version of my soon to be ready Consider pattern. Shanna and Melissa have been running this lovely event for a long time now and it has been a very nice little shove for me all year (well except for recently). You have time to join in too, the November goal link is open until the end of tomorrow. Your goal can be whatever you like, and it does not have to be a finish, even just a step is a goal. I do have this quilt on the longarm frame and I quilted the top left corner of the coloured motif with matchstick quilting in hot pink Aurifil 50wt thread. I have been trying to decide what to do on the rest of the quilt, maybe I will have an idea tonight. I'm off to work, it feels like it's been a very long week already. 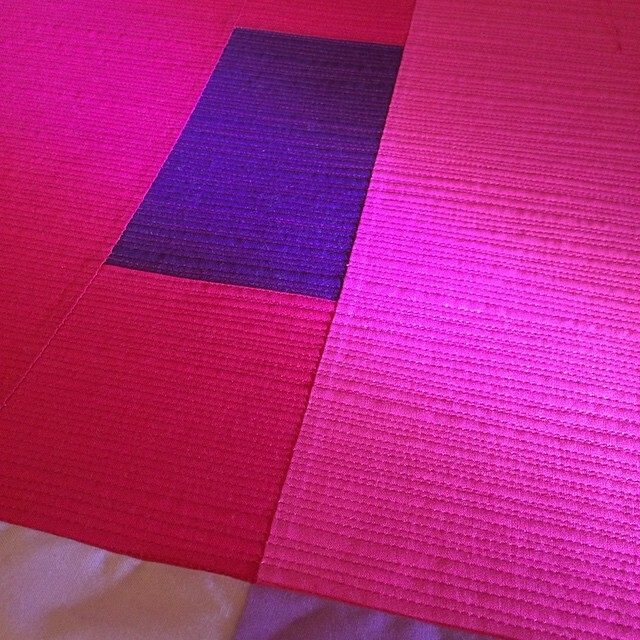 I see some Josef Albers inspiration going on here........well done! I love it. Once more I am found of your choices, color and shape. You're great ! Love your colour choices on this one. It's good to have some external encouragement to keep finishing projects isn't it? Very, very nice! Great colors...congrats! It's Friday! You're almost done the week, so breathe and relax. 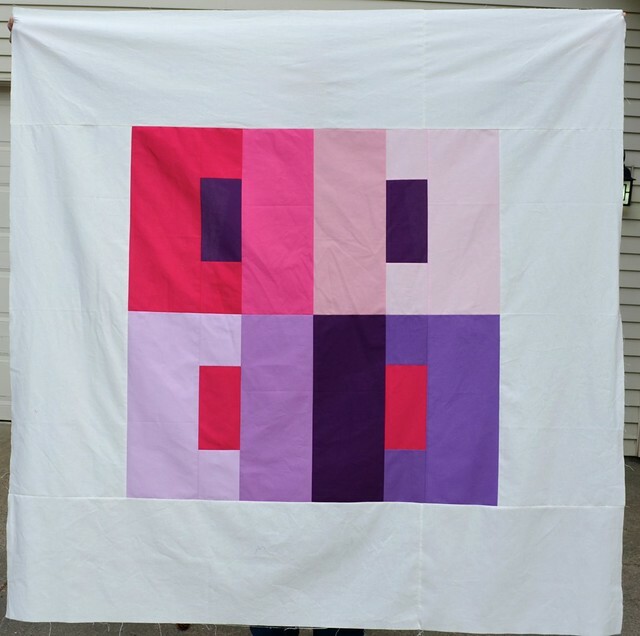 Super goal - I love the colors you've chosen for this quilt.